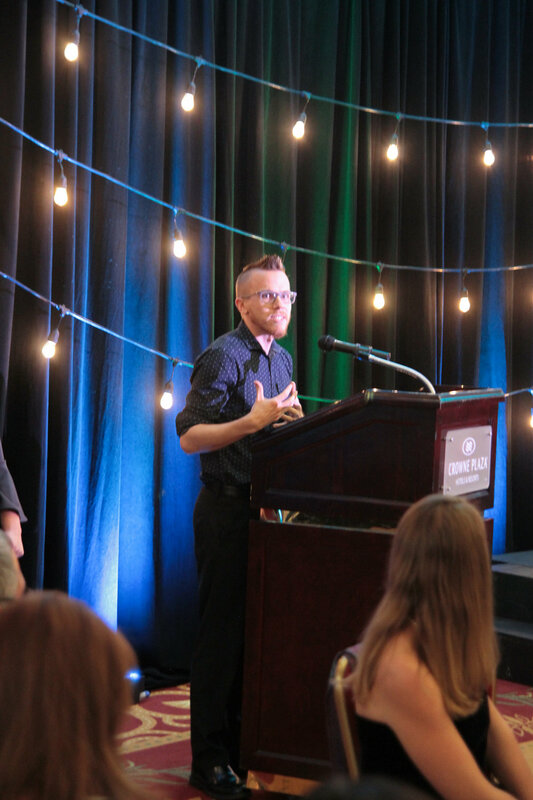 Co-Founder and Board President, Jason Bowling, addresses guests. 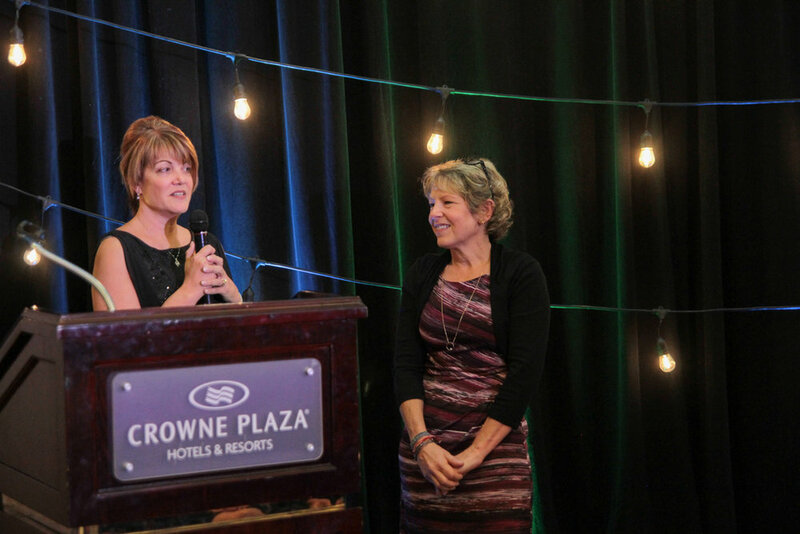 Executive Director, Karen Schlindwein, gives Chosen’s 1st Volunteer of the Year Award to Anne Domach. 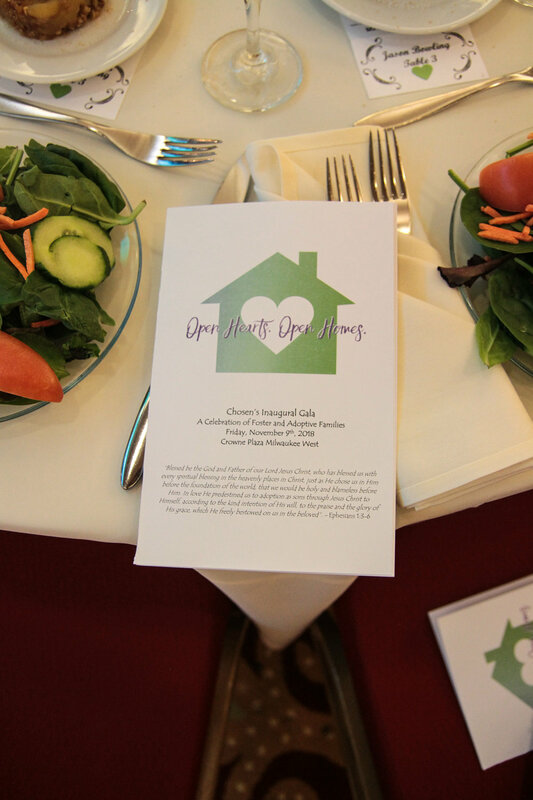 Chosen’s Inaugural Gala, “Open Hearts, Open Homes” was held on Friday, November 9, 2018 at Crowne Plaza Milwaukee West. 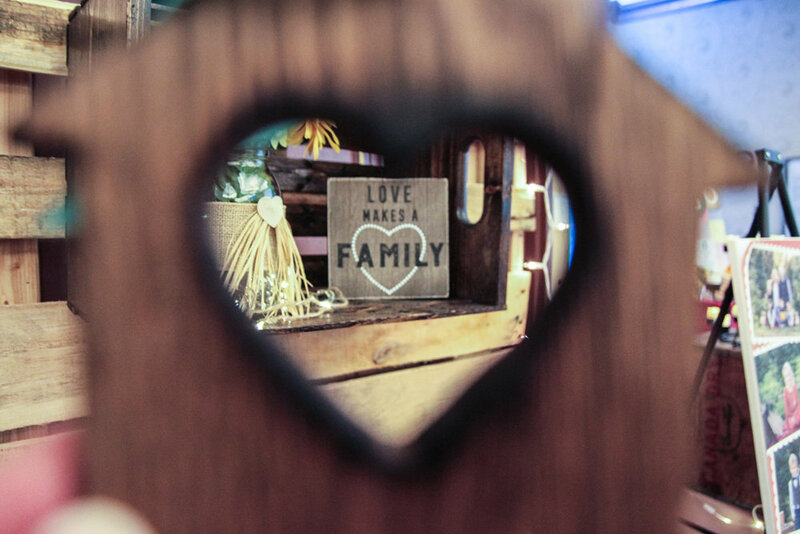 200+guests and volunteers celebrated foster and adoptive families while much fun (Bingo, Silent Auction, Live Auction and Raffles) was had! Chris and Emily Norton shared their heart-warming fostering journey and inspired many to consider fostering. Chosen raised more than $30,000 including 40 new financial partners!